When your event demands to be special, Frank’s Steaks provides. If you want your private event to stand out and represent you at an elite level, rent our private party room. Our Rockville Centre location accommodates up to 55 guests and the main room can also be rented for functions of up to 120. Our staff is trained to make sure your event is a success, and we have various priced menu packages to accommodate your budget.  Our entertainment experts will give you all the details and help you create a successful event Frank’s Steaks style!